Raymond B. Ludwiszewski is a partner in the Washington, D.C. office of Gibson, Dunn & Crutcher. He joined the firm's Environment and Natural Resources Practice Group after spending eight years in senior legal positions in the United States government dealing with environmental regulatory issues and litigation in the Environmental Protection Agency and the Justice Department. Before joining the Justice Department, Mr. Ludwiszewski was a judicial law clerk to Judge Henry J. Friendly of the U.S. Court of Appeals for the Second Circuit. 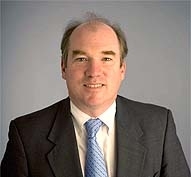 Some significant matters he has handled include the defense of complex toxic tort “contaminated community” cases including the defense of important environmental civil enforcement cases; the successful challenge of major environmental regulations; the defense of large environmental criminal matters; and prosecutions of litigation against the United States. A graduate of Harvard Law School, Mr. Ludwiszewski was Editor of the Harvard Law Review. He earned his B.S. degree at Northeastern University. He has been listed in Washingtonian magazine’s Best Environmental Lawyers List, the Washington Post magazine’s Best Lawyers in America, and Chambers USA.